Year 5 wanted to take part in a drama workshop. Upon discovering the cost they decided to undertake fundraising. They calculated how much each class and each child needed to raise. 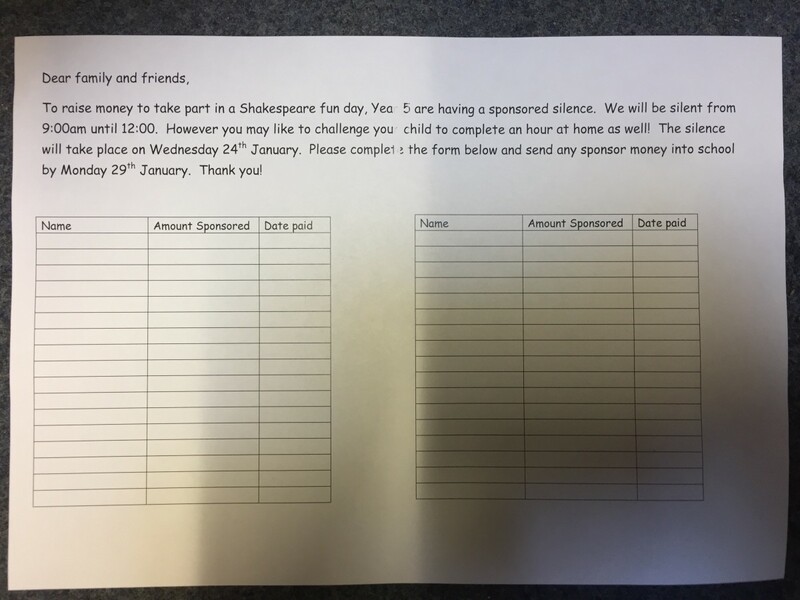 After a discussion the class voted for a sponsored silence. They collected and counted the money.